You've likely heard dire warnings that many Americans may never be able to retire at their current level of meager savings. But you can beat these odds and even retire early if you structure your life and finances properly. And the sound (though sometimes quirky) suggestions of online early retirement sensations like Mr. Money Mustache can help you get there. If you're interested in achieving financial freedom and independent wealth at an early age, check out his website and these four other early retirement blog favorites. An aggressive saver and index-fund investor, Pete, aka Mr. Money Mustache, and his wife retired in 2005 while in their 30s. Frustrated with questions about his money-saving techniques, he decided to share his knowledge through his website. Mr. Money Mustache dissects the rationale and habits of early retirees, fights against hyper-consumption, and advances the early retirement lifestyle. He doesn't mind being viewed as different or even controversial as evidenced by articles such as "What Does Your Work Truck Say About You?," "Chasing Electrical Demons to Cut Your Power Bill by 80%," and "Great News: You're Allowed to Have Only One Kid!" As a (tongue-in-cheek) cult leader, he has assembled a significant number of members who bond to his fanaticism for achieving "Financial Freedom Through Badassity." Learn from fellow "mustachians" by posing questions and exploring collective wisdom in his forum, one of the most valuable sections of this website. Former hedge fund investment manager turned financial coach Todd R. Tresidder offers a wealth of resources for aspiring early retirees at FinancialMentor. Todd lived simply and invested smartly in his youth while working in the financial services industry, achieving millionaire status and retiring at age 35. Today, Todd enjoys financial freedom while mentoring others along a path of accumulating wealth, developing multiple streams of income, and experiencing the personal transformation that happens as a result of financial independence. His website contains free resources, which include retirement calculators, articles like "12 Tips to Build Wealth for Early Retirement," and podcasts with financial and retirement experts, such as Wade Pfau, PhD, CFA, and Professor of Retirement Income with the American College of Financial Services. You can also discover paid resources through the site, such as Todd's 60 Minute Financial Solutions book series that includes How Much Do I Need to Retire? Todd breaks down and simplifies complex financial topics, and, when appropriate, disavows conventional wisdom. Further, he provides you with actionable steps to achieve financial freedom focused largely on securities investing. Retired veteran and the author of The Military Guide to Financial Independence and Retirement, Doug Nordman offers finance-related insights for the unique needs of the military community at The Military Guide website. Doug opted for early retirement after 20 years of active service, passing up the opportunity for a bridge career involving transition to the civilian workforce. In his blog, Doug confesses that he made lots of mistakes in his personal financial life. Nevertheless, diligent and consistent savings, along with a military pension, allowed him to retire early. Today, he spends time surfing in Hawaii, traveling, writing, and promoting his book (royalties benefit military charities). His engaging and self-deprecating style allows you to learn from his experiences, as evidenced in "How to Get Kicked Out of Tricare" (military health care program). You can also gain knowledge to make informed decisions by considering pros and cons of various retirement-related paths through articles such as "Stay for 30 or Retire at 27?" which references years of service, not years of living. In the midst of a successful but unfulfilling career in journalism, Paula Pant decided to pursue personal and professional interests on her own terms. She became financially independent at age 30 by parlaying profits from a writing and marketing firm into $1 million worth of real estate investments, which generate passive income that sustains her lifestyle. At the Afford Anything website, Paula writes about her business ventures and life adventures. She encourages readers to develop sources of passive income based on their strengths and interests. However, she focuses on her experiences in real estate. You can read about entering the vacation rental business as an AirBnB host, plus find guidance on buying and managing rental properties through articles such as determining if a house is a good investment. At her website, affording anything (though not everything) is emphasized, not necessarily early retirement. However, those who are interested in retiring before 65 should find both inspiration and instruction to become financially free as early as possible. Supersavers and married couple Winnie and Jeremy explore the world while educating readers on the financial and location independent lifestyle through their blog, Go Curry Cracker. They saved more than 70% of their income for 10 years while working in traditional jobs. During this time, they built an investment portfolio that generates income for their expenses. At the website, you'll find tips on optimizing your tax situation (including techniques for harvesting capital gains in order to increase the cost basis of your holdings, positioning you for lower taxes in the future) and limiting your fixed expenses through techniques such as car-free living. 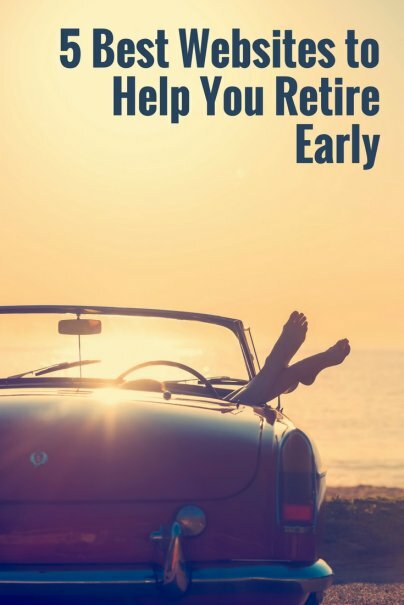 Mainly, though, you'll get inspiration for aggressively and wisely managing your financial situation so you can enjoy your days in early retirement. Retiring early may be within your reach. Visit these websites to learn how to live and spend intentionally, invest wisely, avoid wealth-robbing pitfalls, and enjoy life before and during retirement. Which other early retirement online resources do you read and recommend? I'd like to recommend our website, Retire Early Lifestyle. My husband, Billy and I retired at age 38 in 1991. Our site is down-to-earth, inspirational and covers topics of financial independence, world travel and medical tourism. We have a digital book store with books that have sold in over 40 countries. Few people can say they have enjoyed 25 years of financial independence by age 62 - our approach works. Anyone interested may sign up for our free newsletter.